Every day is an opportunity to explore, make friends, and grow. Our teachers support and nurture your child’s cognitive, social, emotional, and physical development. 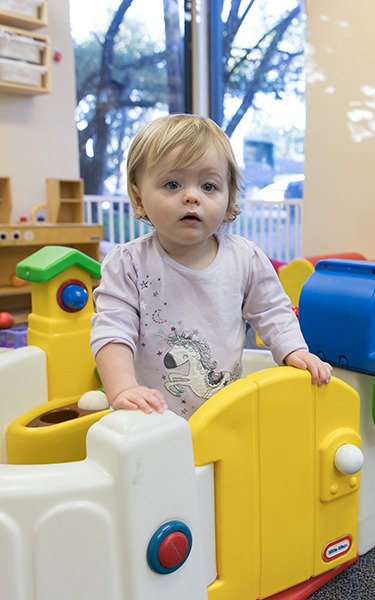 Child’s Day is an accredited child development center for infants through pre-K located in central Austin. Our teachers welcome your infant or child just as they are . . . with love, respect, kindness, and empathy. The Child’s Day community is built of children, families, and teachers from many countries and walks of life. Stay connected through personal, focused communication from your child’s teacher. 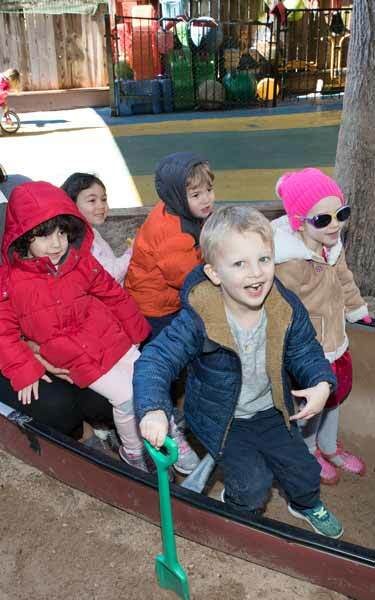 We encircle your child with relationships, activities, and opportunities to explore, create, and learn. Your child’s teacher is attuned to his or her learning style, interests, and emotional needs. Want to take a tour? we’d love to meet you and show you our school! We provide tours Monday-Friday at 9:30-10:30 AM and 2:30-4:30 PM. Make your appointment by calling 512-327-3274 or schedule a visit now. Child’s Day enrolls new children throughout the year. Complete our Wait List Request Form to indicate your interest in enrolling your child in the future. Child's Day provides my child with a truly enriching experience and loving environment. We feel very fortunate that a place like Child's Day exists and would choose no other place for our child! We appreciate the school-like atmosphere, and the loving, caring way the teachers interact with the children. Child's Day is the only child development center I found that meets my high expectations for my daughter's needs. I go to work each day assured that her health, happiness, and growth are attended to exceptionally by her teachers. Our child is doing great at Child's Day! It is amazing the difference that skilled, loving teachers can make. My wife and I have not worried about our daughter for a moment since finding Child's Day. We really appreciate her teachers! After having one child almost complete the Child's Day program, I can say that he has been given many opportunities to grow and learn. Child’s Day is exemplary. I'm looking forward to my three-month old growing and exploring at Child's Day. This is the absolute best child care in Austin! I am confident my children's needs are being met and that they receive the love and care needed to ensure they are happy and healthy. 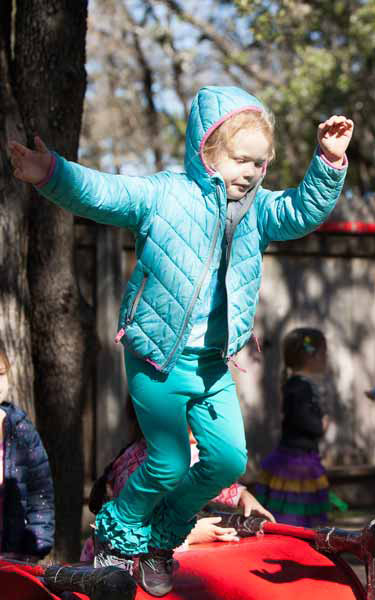 Best child development center in Austin, well-run and very well staffed by fun, happy and very qualified teachers -a great environment and the teachers are great at communicating. Excellent "extra" learning programs offered for students. My child loves the school! We are very happy with the way the teachers interact and communicate with the children. They are very good at explaining why different behaviors are appropriate or inappropriate. Our daughter has been happy and content in each class she's been the past three years and she’s developed an active love of learning. Weare very pleased with Child's Day. We have every bit of confidence in the staff and care that our children have received there. The teachers are sincerely interested in the children and enjoy what they are doing and demonstrate this caring attitude and love to the children. We also feel that our children are receiving a great educational start for school. Absolutely love everything about Child's Day! They go above and beyond the "standard" in every area –and love my child! The infant program is excellent!It is a huge peace of mind to know that my child is at Child's Day. 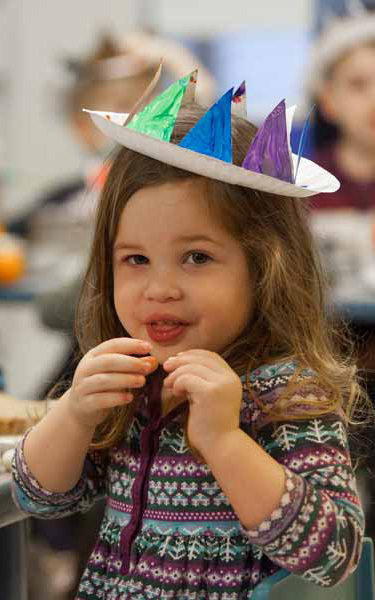 Child's Day has an excellent curriculum that blends learning, discipline, structure, loving, and fun! Mychildren have attended Child's Day for a total of six years. I trust the school, and my daughter is always happy and confident after her days in school. Child's Day is a wonderful child care center. It was the one place in that provided us total peace of mind regarding our daughter, her care and growth. This is a wonderful preschool. Myson has blossomed socially and developed intellectually,and we are very happy about it. Our daughter had an easy adjustment to Child's Day. The staff is great and really seem to love the kids. She has not been sick,and the room is cheerful and bright. We made the right decision to be here! I looked at many other programs before choosing this one. I would not want my child to be anywhere else. 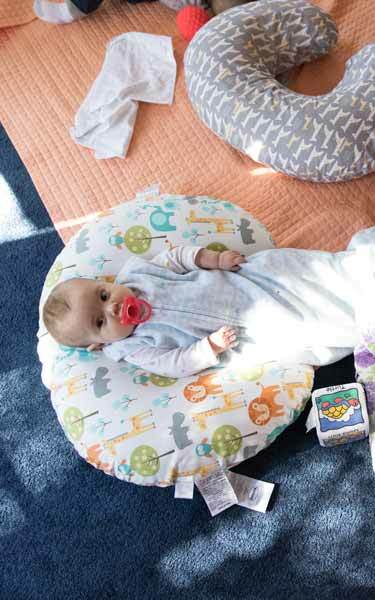 This program is exceptional both in the way it runs from a business/operational standpoint, and froma developmental standpoint and the care of the child. My observation is that rarely does a program do well at both.